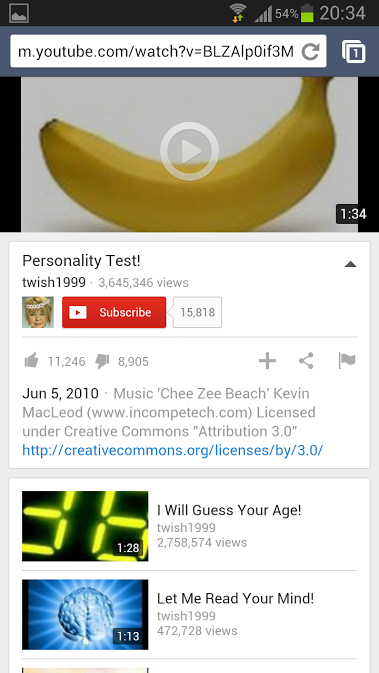 YouTube tests a new interface of the mobile site. It's closer to the mobile app UI, it shows the description and the number of likes and dislikes, a red "subscribe" button and action buttons are placed below the video. 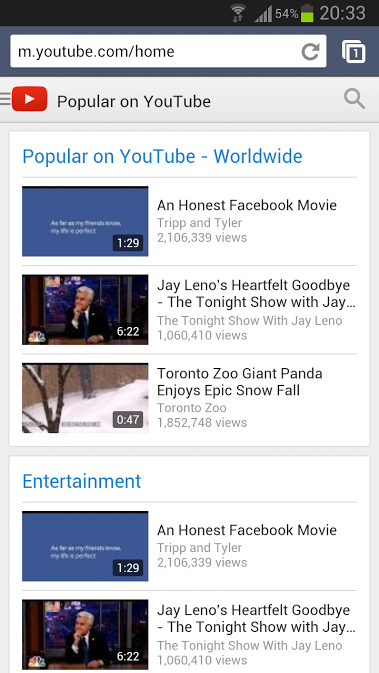 There are other changes: the new YouTube logo, the "hamburger" menu, bigger thumbnails, new font, gray background.